Josh, what is all involved in a 2 to 4wd conversion? Why wasn't it just easier to buy a 4wd in the first place? There is a 2wd on Craigslist right now. It took me a weekend of maybe 4 hours a day vary easy. But I had a trans transfercase and front end already sitting there. It was a vary clean low mile 2wd thats why I picked it and got it for a song. If you can get your hands on a donor with those things plus shafts and transfercase bezel its vary simple. I'm in Russellville. 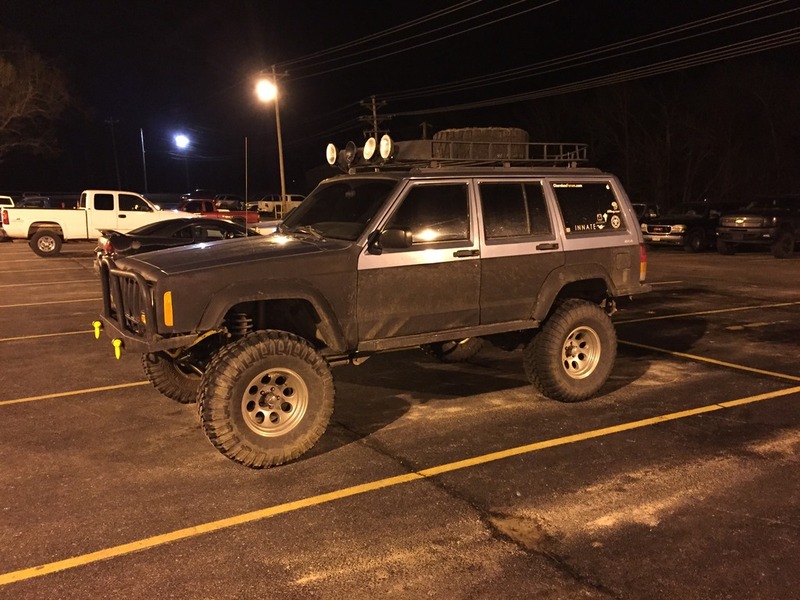 I'd love to have an Arkansas XJ run sometime. I'm about to come into a little money and I get to spend a little on my Jeep. New wheels, lockers, tires and front and rear bumpers. Last edited by scottmphoto; 03-01-2015 at 02:39 AM. What do you have? Size and backspace? Can you post or email me photos? justjoshnya, where are you from in Oregon? I spent 7 years in the Albany/Corvallis area. I moved home in 2004. Molalla. Small town about 30 min south of Portland. Its next to woodburn. Small world. Wow, we've got serious sleet accumulating in Little Rock. And snow is supposed to start at midnight. Snow and ice here. Roads are covered. Got the Jeep out in it. Had a minivan pull over and let me pass. I was about 100-150 feet away. Guess that was still to close for them. Cool, didn't know it had changed ownership. I worked for a contractor there one summer.